A year full of more good music, great artists, and unknown records lies ahead of us. I would like to present you today an awesome disc by the egocentric Bobby Lee Trammell. "Arkansas Twist", one of his better selling songs, became his signature song for much of the 1960s and has since remained one of the tunes he is best remembered for. Trammell was born January 31, 1934, in Jonesboro, Arkansas. His parents Wiley and Mae Trammell worked as cotton farmers and in addition, were part-time musicians. Trammell's father played fiddle and his mother organ at the local church. Trammell's musical influences, however, were not limited to the country and white gospel music styles, which were common in such rural areas of the south. Trammell was also absorbing the sounds of black gospel music and sometimes sneaked out to visit a nearby black Pentecostal chuch service. 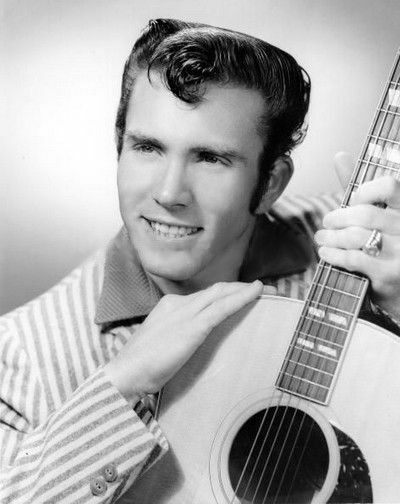 Trammell began playing country music in high school and managed to share the stage for one song with Carl Perkins and Johnny Cash, when they played a local show in 1956. Perkins advised Trammell to audition at Sun Records in Memphis, which unfortuantely went nowhere since Trammell couldn't await a second audition date there. In later interviews, Trammell admitted this being his fault and regretted he was so unpatient. Trammell instead moved to the west coast and soon became part of the lively music scene there. By then, he was playing stone hard rock'n'roll and made himself a name as a wild rocker. His stage performances exceed even Elvis Presley's moves and manners. Local record producer Fabor Robison signed him to a contract in 1957 and Trammell waxed his first recordings for him, including his debut single "Shirley Lee" / "I Sure Do Love You" (Fabor #4038-45, 1958), which became a good seller for him and saw national release on ABC-Paramount. His wild and untamed behaviour on stage as well as questionable promotion methods soon spoke for itself and by the late 1950s, Trammell found himself broke and unemployed at the west coast. He headed back to Arkansas in either in 1959 or 1960 and made contacts with label owner Arlen Vaden of Trumann, Arkansas. Vaden arranged a session for Trammell in December 1960 at the Hi Recording Studio in Memphis, which produced "Hi Yo Silver" and "Been a Walking," released on Vaden's own label Vaden #45-304. Trammell kept on performing in the same manner, although his behaviour had caused him a severe crisis on the west coast before. In the meantime, a local jazz musician by the name of Joe Lee built his own recording studio and record company in Jonesboro on 213 East Monroe Street. He named the studio "Variety Recording Studio" on and set up the Alley record label. 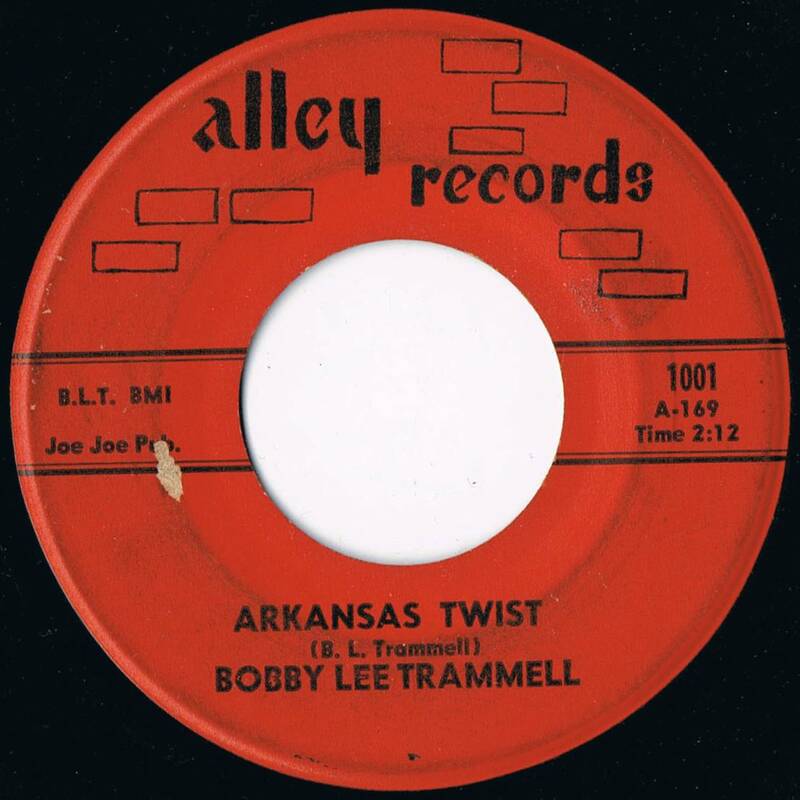 After recording a couple of songs in Memphis that were leased to small labels, Trammell asked Lee to use his studio to cut two special songs he had written, "Arkansas Twist" and "It's All Your Fault." Although the room wasn't even furnished appropriate for recording sessions, Trammell insisted on recording at Lee's place. It was likely late 1961 or early 1962 when Trammell finally recorded the songs. Praguefrank's Country Discography blog lists Sonny Ackermann on lead guitar, Herbie Mayes on bass, and Harvey Farley on drums (but doesn't mention the pianist). Sheree Homer mentions in her book "Catch that Rockabilly Fever" that "During the early 1960s, Trammell had Steve Handford on guitar and Jimmy Payne as part-time bass player. In fact, it was Trammell's brother Dale, [...] who fronted the band and played piano." She neither mentions this line-up explicitly as the recording line-up nor does she mention the line-up listed by Praguefrank. Other sources also speak of Richard Manning being the drummer on the session. Manning was also the composer of "That's What I Call a Ball," which was recorded by Larry Donn for Arlen Vaden. For now, it can't be said who played on the session with certainty. Since they did five or six takes on "Arkansas Twist," Trammell and the band had to return to the studio on another day to lay down "It's All Your Fault," as Joe Lee remembered. Although Lee thought it was not a good record at all, he nevertheless took it to Sam Phillips' studio in Memphis to let him master the tapes. He then ordered 300 copies at the Plastic Products pressing plant in Memphis and played the record to a friend of his, who was working in the jukebox business. Lee's friend was highly impressed and bought all 300 copies of "Arkansas Twist" on the spot. Lee released both songs as his label's initial release on Alley #1001 in May 1962 and soon, it developed into a big seller. Billboard reported on June 9, 1962: "Two other disks breaking well in the area [Mid-South, editor's note] are "Arkansas Twist" by Bobby Lee Trammell on the Alley label, and "Having a Party" [...] by Sam Cooke on RCA." Eventually, 200.000 copies were sold, although it did not hit the national charts. "Arkansas Twist" became Trammell's signature song and also became the title of his first album on the Atlanta label. It was also covered by the Jokers (Bro-Ket #BK-101) and by Memphis singer Eddie Caroll (Pure Gold#304). Trammell recorded more songs in the same vein for Alley and Atlanta but couldn't the repeat the sales of "Arkansas Twist." Wild stage antics still prevented him from having national success. Thus, Trammell kept on recording for small labels during the 1960s and doing the promotion work on his own. Trammell turned to country music in the 1970s and had a minor hit on the Souncot label in 1972. By the 1980s, Trammell tried to break into the European rockabilly revival circuit but fans dismissed his strange performances. After this defeat, he finally gave up music and entered politics and was elected to the Arkansas House of Representatives in 1997, where he served until 2002. Bobby Lee Trammell died on February 20, 2008, in Jonesboro at the age of 74 years. Today, he would have turned 82 years.